Average rating: 4.5/5 from 98 comments. - Comment-on/Rate this shop. Ron Ashley, Proprietor. In business since 1999. Also sells rims, tires, tubes, and handlebars. A Nearly New Shop only sells used, restored bikes. They service the bikes they sell. Low prices for bike made between 1950 and 1983. 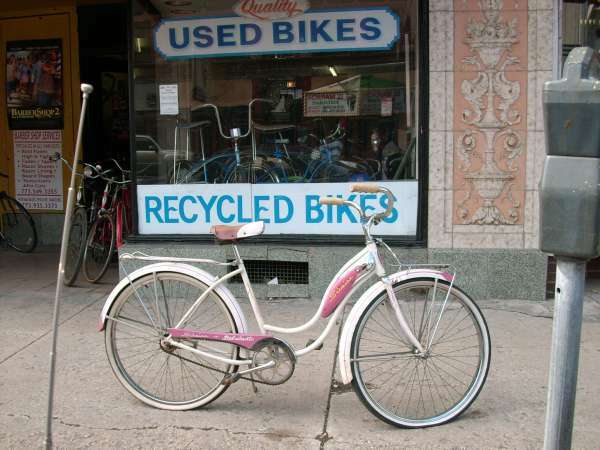 Classic Schwinn cruisers a speciality.